When you travel to Japan, it’s good to see the country, but it’s even better if you can experience it. Thankfully, Japanese travel providers have a wealth of taiken "experience" tours and activities. To help travelers narrow down their selection, the users of TripAdvisor have ranked the top 10 best activities and tours in Japan. If Japanese cuisine is what drew you to Japan, Japan Wonder Travel has multiple tours for fans of the country’s food and drink. Most take around three hours and 30 minutes, and take you to restaurants, food stalls and pubs in an around Tokyo’s Tsukiji fish market, Asakusa’s historical district or Shinjuku's nightlife center. 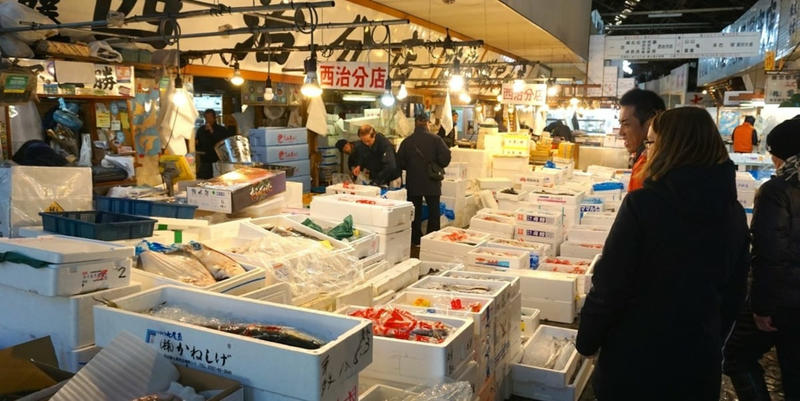 This fall, it’s also offering a new tour that visits both Tsukiji and a new fish market scheduled to open in Toyosu. Despite being Japan’s biggest city, central Tokyo is concentrated enough that it’s a great place to get around by bike. Plus, biking offers you a more intimate view than you’d get from the train, and it lets you see more than you ever could on foot. Tokyo Miracle Cycling Tour lets you choose between three different three-hour courses that traverse Tokyo’s boulevards and backstreets, or cycle along its scenic waterways. Ebisuya operates in Tokyo, Kanagawa and Hokkaido as well, but the company was founded in Kyoto, and provides tours of the Arashiyama bamboo groves. They range in length from a single block to a leisurely two-hour trip, and are an undoubtedly elegant way to see one of the most beautiful parts of an incredibly beautiful city. Like we said, many travelers come to Japan because of a desire to eat delicious, authentically prepared Japanese dishes. Eventually you’ll have to go home though, and if you’re craving the flavors of Japan, the best thing to do is recreate them in your own kitchen! That's exactly what cooking instructor Mayuko will teach you how to do, in a friendly, relaxed setting. Kyoto’s train/subway network is petty limited, so instead of spending half your day of temple-hopping waiting in long lines for crowded buses, why not see the sights by bike instead? Cycle Kyoto’s group tours range from three to seven hours, and they also often custom-design private tours for groups of up to 40 riders. Speaking of Kyoto crowds, some travelers visiting central Japan opt to stay in nearby Osaka instead, since the larger city boasts a bigger selection of modern hotels and conveniences. 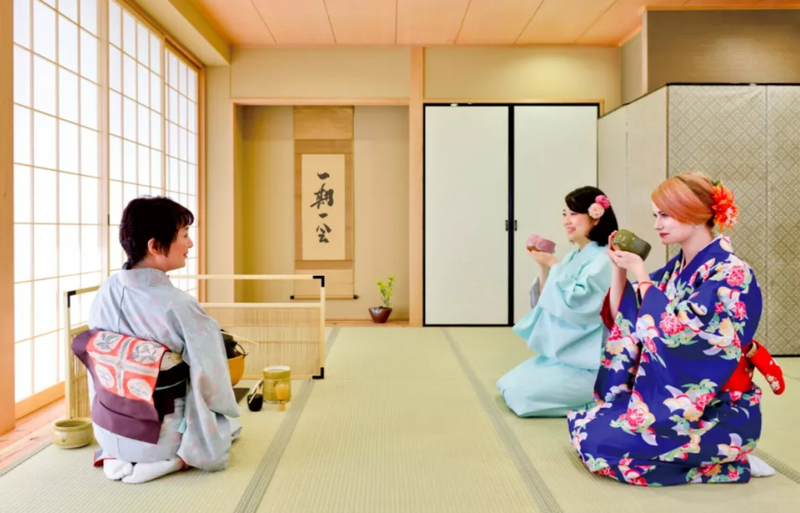 There’s still plenty of culture to be found in Osaka though, and Maikoya will teach you the basics of tea ceremony, as well as help you dress in a formal kimono or lightweight yukata. They’re not absolute sticklers for tradition though, and you can also opt to participate in lessons wearing your everyday Western-style clothing, as well as sit in a chair if your body isn’t limber or spry enough to handle kneeling Japanese-style on the floor for an extended period. While taxi services in Japan are often a simple matter of being driven to your destination, some drivers take on a more involved role by providing both a private car and informative descriptions of the city’s sites and history on a multi-stop journey through the town. Machi Taxi’s six-hour tours can accommodate up to six guests, and if you have any worries about their English-speaking abilities, just click the video above to have your ears pleased and your mind set at ease. As someone who was raised by a family of farmers and previously worked as a food critic in New York and Toronto, the unorthodoxly spelled YUCa offers classes in how to make comfort food. She'll teach you how to make classics such as ramen and okonomiyaki, traditional sushi and tempura, cute character bento boxed lunches and even seasonal Japanese desserts. There’s quite a bit to unpack here, linguistically. First, Akiba is the nickname for Akihabara, Tokyo’s games and anime district. Fukurou, meanwhile, is how you saw owl in Japanese. Akiba Fukuro is an owl café, located just a short walk from Akihabara Station, where a “family” of three dozen owls resides. As one of Tokyo’s most popular animal cafés, reservations are highly recommended. Stick an O in the middle and a T on the end, and you’ll see what the appeal of MariCAR is. While the company’s website bills its tours as “Real Life SuperHero Go-Karting,” it’s really the video game franchise Mario Kart that MariCAR is aping, as it not only rents go-karts for a cruise through downtown Tokyo, it also provides rental costumes. Aside from TripAdvisor users’ glowing reviews, there’s one other reason to go ahead and book a tour with MariCAR—despite the popularity of its tours, the company’s future is sort of uncertain. MariCAR has been the target of lawsuits from Nintendo itself (even as MariCAR attempts to file patents for its own business operations). In addition, multiple accidents with foreign tourists behind the wheel have been bringing increased scrutiny to a business model that essentially boils down to putting people with little or no experience with Japan’s traffic laws into cars—adding the distraction of cosplay—behind the wheel on public roads in a highly congested city. For now, though, MariCAR is still in business, and the top recommendation from TripAdvisor’s users for experience tours/activities in Japan.